1. Log in to your Podbean account and go to the 'Settings'->'Social Share' page. Then click the 'Connect to Facebook' button. 2. 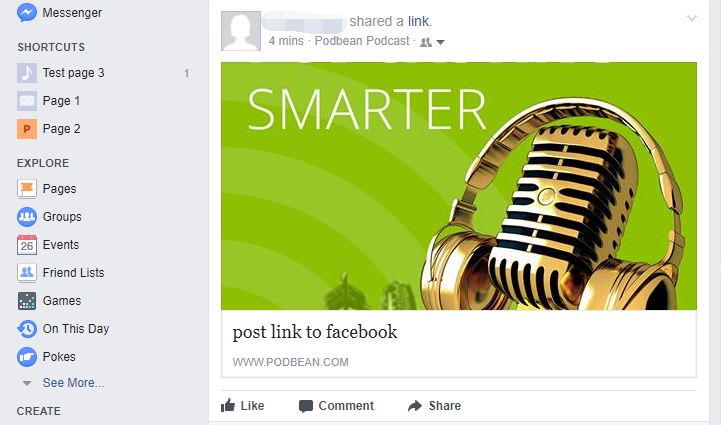 Click the pencil icon to choose how to display your podcast on Facebook. If you check the option “post link”, a URL to your episode will be published (see example below). 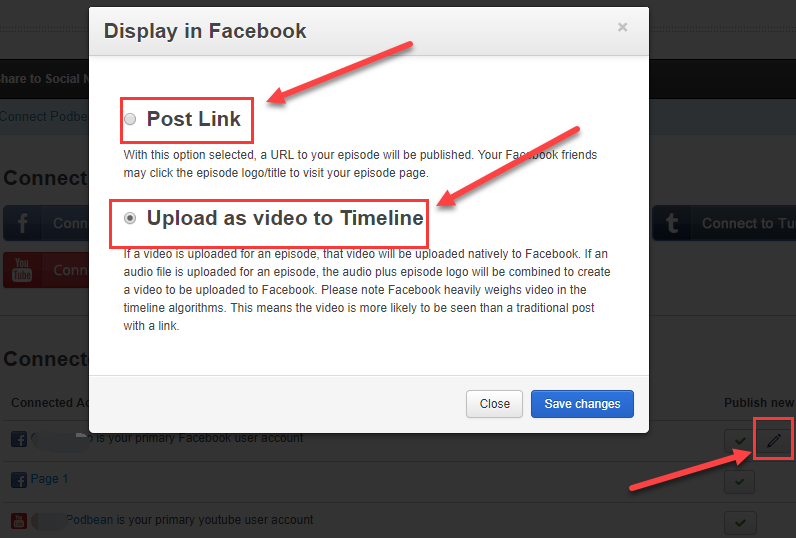 This enables a user to click on it and open your episode in a separate window outside of Facebook. If you check the option “Upload as video to Timeline”, your episode will be shared as a video that can be played directly in Facebook. Video podcast episodes will play as it is; audio podcasts will play the audio with a static image combining your episode artwork and title, as shown below.